Happy New Year 2013! - Super Inky! In my family, we open our holiday presents on New Year's Eve. I waited patiently all week after seeing most of my friends open their gifts on Christmas- finally, it was my turn! 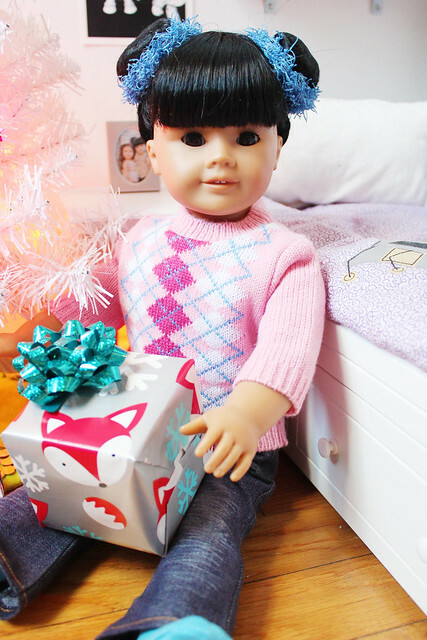 I sat beneath the tree in my bedroom to open my gifts. First came this awesome Calico Critters motorcycle and side car! It came with two little raccoons who are ready to ride off into the sunset together. Next came a present that rattled when I shook it. What could be inside? Why Legos, of course! 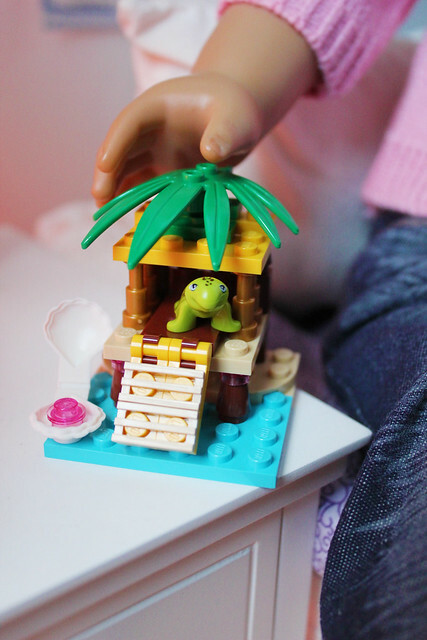 The gift was a little house for a little lego turtle! How cool! Next came a gift from my parents. They usually give pretty good gifts! What do you think it was? 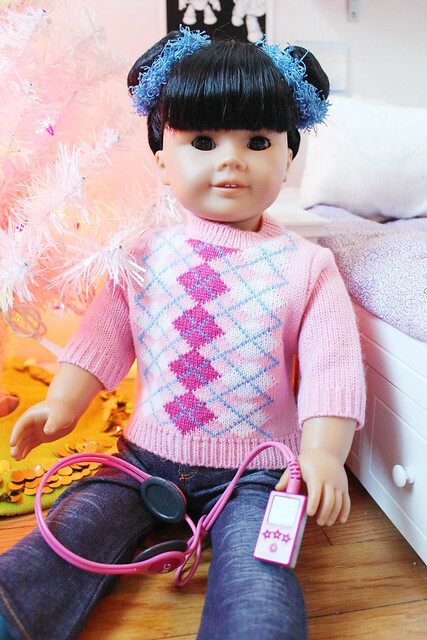 An mp3 player and headphones! Thanks Mom and Mama! Then came a present from Ded Moroz, who is like a Russian Santa. I loved the paper with the grey kitty on it, just like my Chaika! It was a puzzle with Cheburashka and Crocodile Gena, my favorite cartoon characters! Awesome! Then it was time for presents from my dear friends. First was this little package from my friend Susie in New Hampshire. She is so sweet and kind, I knew already that her gift would be perfect! It was! 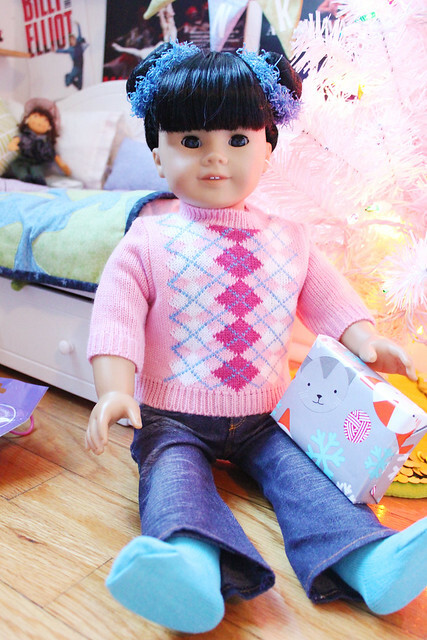 Susie sent a DVD of the Doll Nutcracker! How cool! Finally it was time for the last present- from my dear friend Sophie and her twin sister, Juliette. Whatever could it be? A Playmobil figure! Thank you! His green outfit makes him a perfect park ranger! Thank you so much! Of course I had to set up my Lego set right away. Isn't it cute? I love the little turtle! Happy New Year 2013 everyone! Thank you to my friends and family for your wonderful gifts! 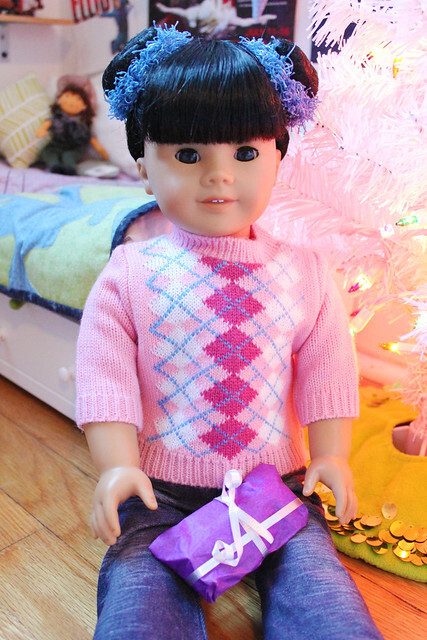 In this entry I'm wearing: socks and jeans from American Girl; sweater by Heless Spielwaren. Thanks for posting the pics of your New Year's celebration, Inky! It looks like you got some great presents. I hope you have a wonderful and adventure filled year! Thank you Grandma! I hope you have a wonderful year too! Looks like you had a fabulous New Year celebration! Best of luck in 2013! Wow!! That sounds amazing!!! It would be so hard to wait till New Year to open presents! P.S. I love the hairdo! I love your sweater, Inky!! Happy New Year, Inks! I am kinda new to blogging but I loovve your blog! I live in brooklyn and I go to SAB! I wish you the best and keep up the great work, Inky! 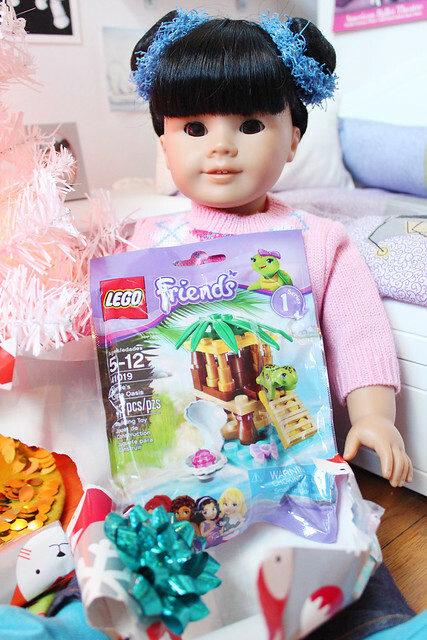 I'm so glad you like your new PlayMobil figurine! I figured that you could always use an extra one. I hadn't thought about him looking like a park ranger, but you know, he really does! You always send the most thoughtful gifts! Happy New Year to you!! Bonne année! 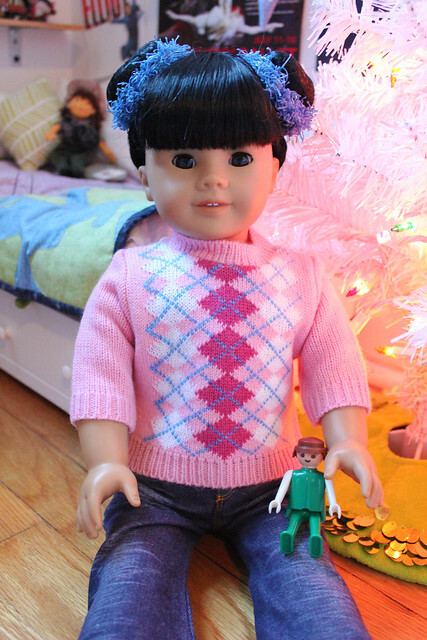 I really love your sweater, and I also adore your tree. You received some nice presents. You got some awesome presents! I'm glad the dvd got there safely! Have you watched it yet? If so, what's your favorite scene? It's hard for me to choose-the part scene is cute and I think the Polichinelle and Sugar Plum Fairy were great! I love the behind the scenes stuff, too! Watching it always makes me want to dance along! I got that same lego kit for Christmas!